iMessage-inspired features might be on their way to Android, and it’s not because Apple decided to do the unthinkable. Google appears to be taking matters into its own hands by implementing long-wanted features for Android Messages. As everyone knows, Google doesn’t seem to understand messaging. It’s released countless apps with the same purpose over the years with limited success. These days there’s Android Messages and Allo to choose from; however, only one of them lets you send and receive regular texts. Allo may be infused with Google Assistant’s brains, but most of us still use SMS/MMS since it’s standard across all devices and doesn’t require any special account. Soon, however, Google should be rolling out a major update to make Android Messages stronger without anyone’s help. Recently there was an update to Google’s flagship messaging app that, according to a teardown done by Android Police, reveals a bunch of new features on the way. The most exciting one is the addition of a web interface that allows users to continue their conversations from a laptop or desktop. Just as you can on iMessage, Android Messages will quietly sync conversations between your phone and a computer instead of forcing you to stick to your phone. Setup will be identical to Allo where you scan a QR code on a computer’s display using your phone. It’s unclear, though, if all browsers will be supported immediately or if Google’s Chrome gets the honor first. 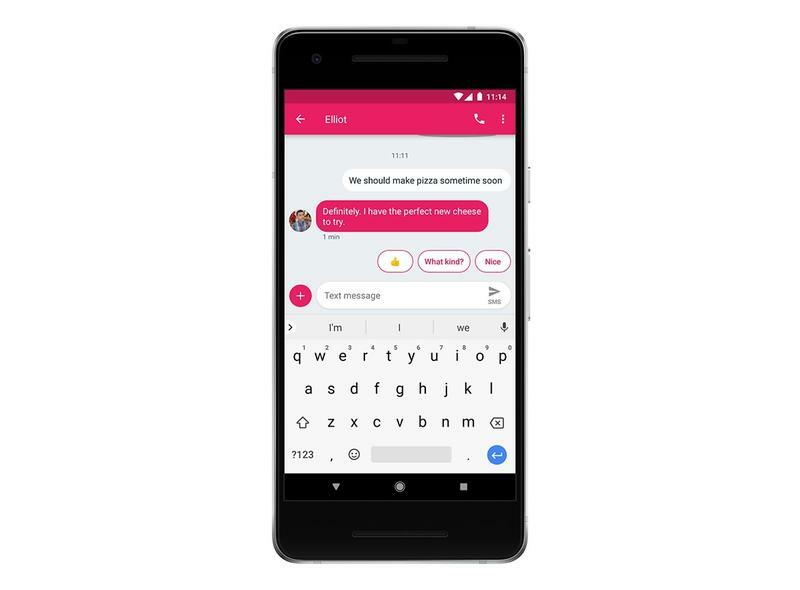 Other features hint that Google intends to push Rich Communication Services (RCS), a next-gen messaging protocol, without the assistance of Android’s partners and carriers. Adoption has been slow, so the company is enabling “text over Wi-Fi” and features “powered by Google” in a later update. Android Messages will let you see if someone is typing, view read receipts, and send high-quality images. The final item found in the APK file’s teardown is a method for users to make purchases from a business without leaving the app. Users can already send and receive money through Android Messaging using Google Wallet, and this adds businesses to the mix. Nothing has been confirmed by Google, which is why these features are currently hidden in the app’s code. At least we know it’s coming. When it does, the billions of Android users worldwide won’t know what to do with themselves after waiting years for this.